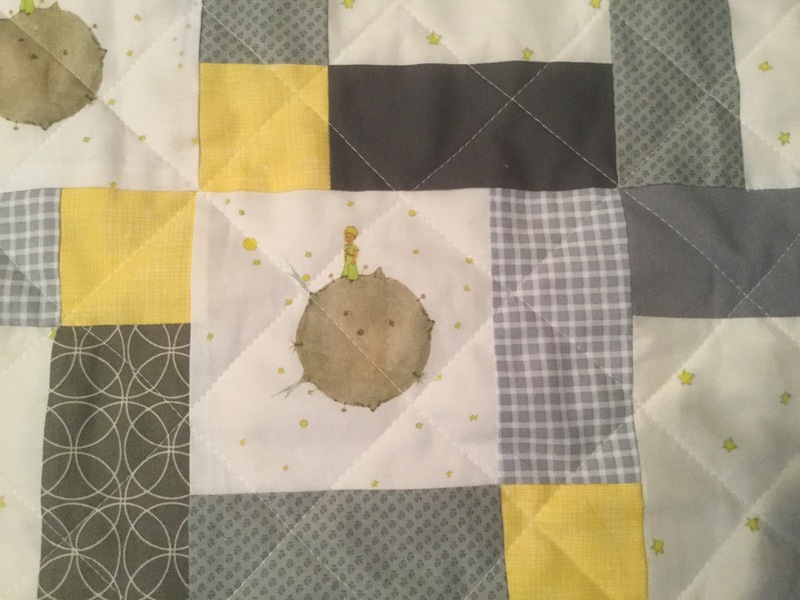 A friend from college is having a baby in January, and when I heard that the nursery is going to be Little Prince themed and yellow, grey, and white, I just had to make a quilt. This quilt is approximately 40″ x 40″ finished, and is a disappearing nine-patch pattern, which I modified slightly from the tutorials I saw online, and also just sort of eyeballed. 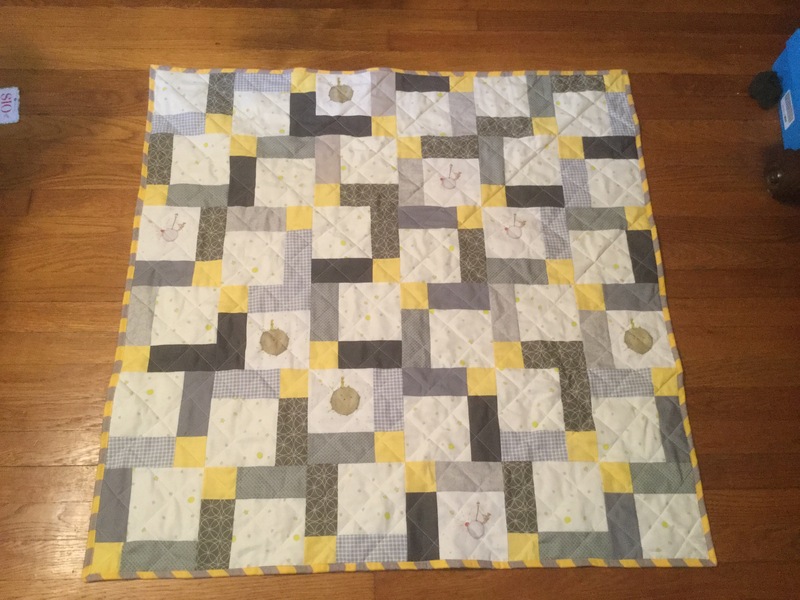 I used 5″ squares — the solid greys are charm squares from a Kona charm pack, and the others are from fat quarters. I ordered the Little Prince fabric from Spoonflower, and fussy cut the planets out in the center of the squares. I might have arranged them slightly differently if I had been planning better (I don’t like how the two planets are right next to each other) but I’m overall quite pleased. I used a walking foot and grid-quilted it by freehand-eyeballing the diagonal grid. 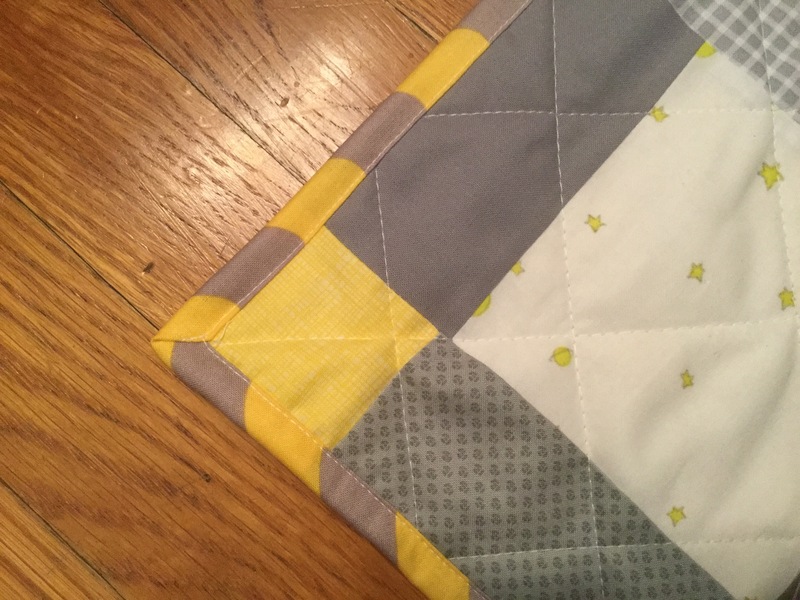 It’s not perfect, but this is a baby quilt — it doesn’t need to be 100% even, it needs to be functional, and I think the wobbliness is okay here. 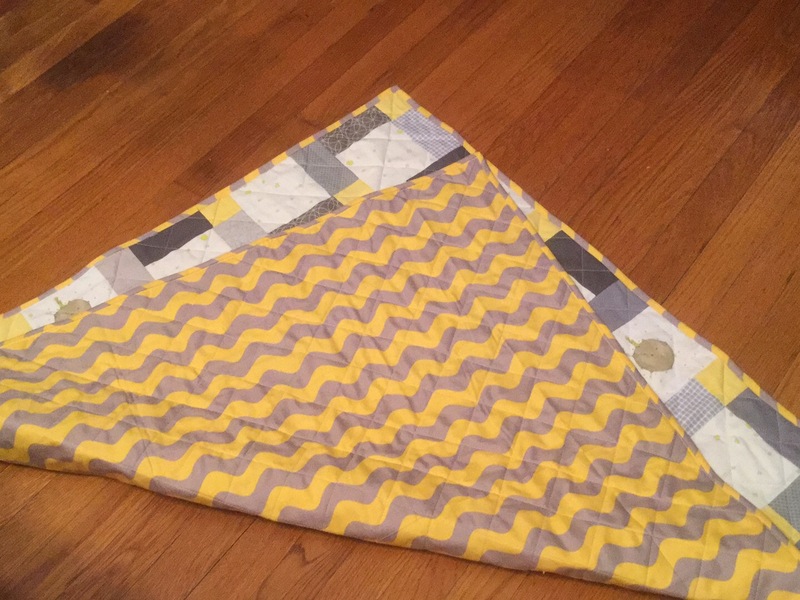 I used the same fabric for the binding and the backing: a Riley Blake wiggly chevron stripe, which I adore. The corners came out so nicely! I think the grid looks pretty nice on the back against the wavy chevron, too! Wow, Alisa. You work fast! Your quilt is gorgeous! Next Next post: Knit1Geek2 Swap Package!